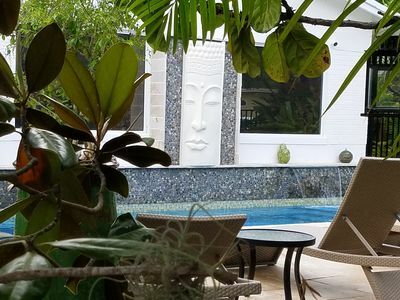 This property presents an opportunity for flexible travelers to realize significant savings in lodging while enjoying clean, comfortable, fully-equipped accommodations near the heart of all activities. The architect Owner resides on site in a cottage behind the featured house. Technically, a car isn’t necessary although most vacationers will want one. 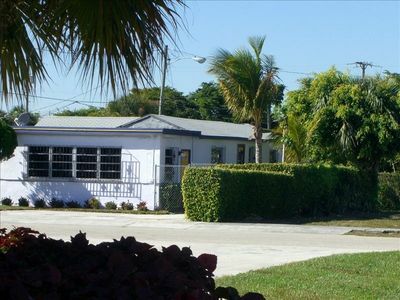 Just steps away is a FREE jitney that runs the length of Atlantic Avenue to the Beach at one end and to the local TriRail station at the other, with connections to all airports and all points from Palm Beach to Miami. The Beach is a five minute drive from the house. Atlantic Avenue, one of the most popular nighttime destinations in South Florida with its concentration of open-air restaurants, clubs, art galleries and shops, is a pleasant, few minutes walk away. 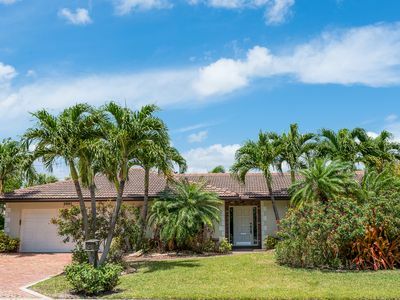 If your vacation plans call for getting out to enjoy the weather, the beach, the sunshine and all that Florida has to offer, and you want to be close to these activities, this may be the house for you. 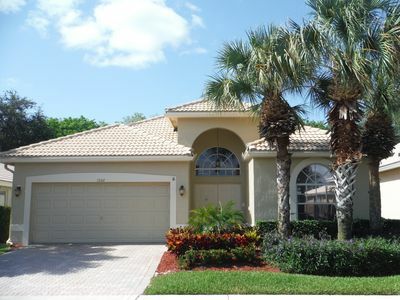 For tennis enthusiasts, the Delray Beach Tennis Center is a three minute walk from the house. Host to professional ATP tour events, the center boasts an impressive stadium court plus fourteen clay and six hard courts. With plenty of active members and guests, one can almost always find a game here. 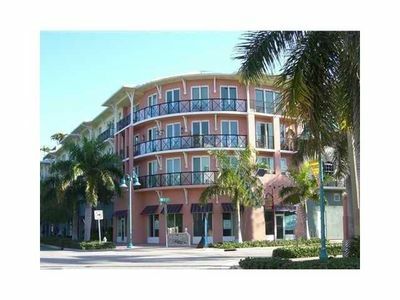 The house stands alone in a commercial district at the boundary of Delray Beach’s successful community redevelopment efforts. Surrounded by open, cleared spaces, the house sits across the street from the city’s new fire-rescue station (amazingly quiet as the trucks exit on the far side, so the sirens are never heard). 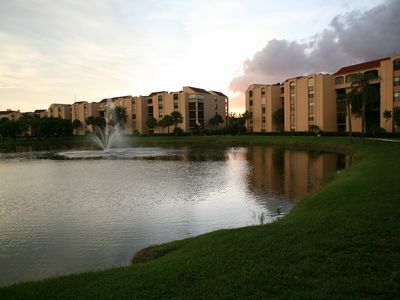 You have many options for lodging during your stay in South Florida. 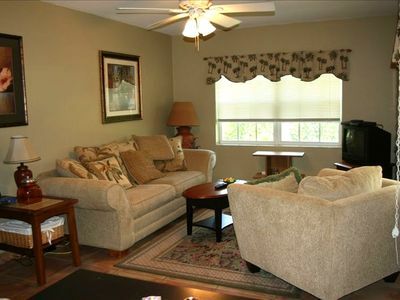 This one offers comfortable, clean accommodations, near the center of activity, at a very reasonable price. 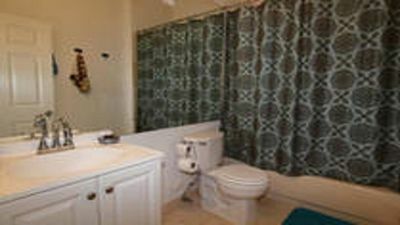 INTERCOASTAL WATERFRONT HOME: Hot tub, bicycles, BBQ, 160 degree water view. 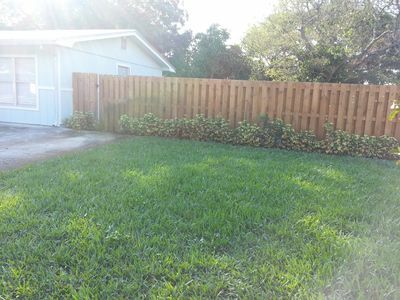 Walkable 4 BR 2 Bath Home 5 Blocks To Downtown, 10 Blocks To The Beach! 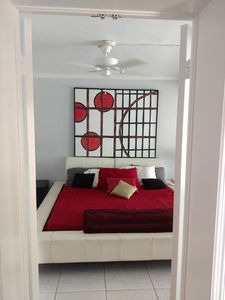 The Bamboo House-Newly renovated, private 1/1 Apartment just blocks from beach.